When you are in love, nothing other than your girlfriend seems to matter. You may find yourself falling for a cute girl in gym class or having fantasies about the nerdy chick in math. No matter what the case is, love and lust will never be enough to make her truly your girl. Instead, you need to woo her. 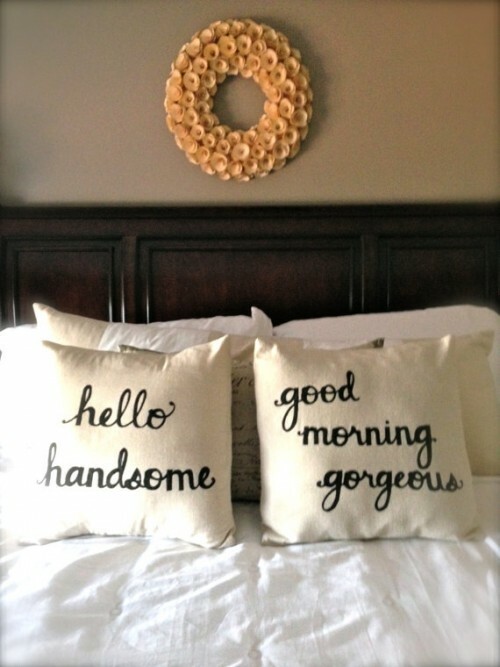 Meaningful, romantic or amusing good morning texts for her can help you bring a smile to her face. It is one of the easiest ways to convey how much you care for her and an excellent way to make sure that she starts the day out right. If you need help thinking up some good morning texts for her, try out some of the following messages. 1. Alert! Alert! The most beautiful woman in the world is now wide awake! It may not be ridiculously fancy or romantic, but it works. 2. You are the light of my life. Again, stereotypical, but it gets the point across. 3. Whenever you are feeling down, take a a breath and smile because I will always have your back. If your crush has been having problems lately, this is one way to show that you will always be there to support her. Try a traditional good morning text to bring a smile to her face. You can always mix this up with “Good morning, my love” or something similar. 5. Being in love with you is what makes life worth getting up for. If you are starting to take things past just casual dating, this type of comment can work well for your girlfriend. 6. Right now, you are probably sleeping like a baby. All I wanted to tell you was how beautiful you are. If you are awake, I hope that this message brings a smile to your face. If you are not, then hopefully this message will set the tone for your day. Here’s to hoping that your day is as amazing as you are. 7. Stop listening to your mind and listen to your heart! I love you! If you are trying to get over the “rational” reasons for a breakup or separation, a reminder about following her heart may be necessary. 8. Wake up, sleepyhead! I hope you have a great day! Cheerful and bright, this is a wonderful way to start the day. 9. My thoughts may not be often or extensive, but when I do think, it is always of you. A little bit of cute romance is just what the doctor ordered. 10. As much as I love the winter snow or the summer sunset, I still love you more. You mean the world to me. Using nature imagery makes a good morning text for her sound poetic. 11. Whether the sun rises or not, I do not care. The only thing that matters is waking up next to you. If you had to leave for work before she woke up, this is the perfect message to send her on your way to the office. 12. Can you give me another picture of you? My friends don’t believe that angels exist. A little corny, but it works. Schedule some time in front of a roaring fire and on top of a bearskin rug. There are fewer better ways to spend a winter day. If you have been feeling under the weather lately, let her know that you are still thinking about her with a cute good morning text like this. 15. Even when life gets me down, I feel happy because you are by me. I can smile even when I cry because you are there. Let her know exactly what she means to you with a message like this. 16. If you were the sun, everyone else would be the evening stars. As the morning sky came into view, your blazing love would drown out every star in the azure sky. Girls love poetry. You love girls. You love poetry? Well, maybe not. However, a poetic text is an excellent way to make your girlfriend go weak at her knees. 17. Everything reminds me of you. The sun reminds me of your glowing face and the early morning breeze reminds me of your light kisses. From the dewdrops that are as misty as your eyes to the soft warmth of the sun, everything in the world makes me think of you. Again, poetic messages can be a powerful indication of love. 18. When I send you a good morning text, it never means just good morning. Each message I send you is a way for me to say that I was thinking about you when I woke up. Honest and cute, this good morning text for her is sure to be a hit. 19. From morning to afternoon to night, I will continue to love you with all of my might. It rhymes, but it is not quite poetic. This message works best for guys who normally stick with “Roses are red…” for their good morning messages. 20. Good morning, I love you. Some of the best good morning messages are the simplest. 21. Each day, you make me feel love in ways that words can never possibly express. Good morning, my love. If you want to sweep her offer her feet, you need to make sure that she knows exactly how much you love her. 22. The light of the morning and the night’s final star both remind me of how special you are. This message is cute, although it carries the risk of sounding like a Hallmark card. Use it with caution. 23. Here is to hoping that your day is as bright as you are and as lovely as your smile. Complimenting her mind as well as her looks is an excellent strategy. Every girl wants to hear that they are beautiful, but no girl wants to believe that she is only being dated for her looks. 24. Waking up is my least favorite thing because it takes me away from my dreams about you. Romantic and poetic, this is one of the best good morning texts for her. 25. Thinking about you only takes a second each morning, but the smile it brings to my face lasts for the entire day. Be honest and let her know how you feel. 26. Dreaming about you at night tires me out. Each day that we spend apart only makes me wish for you more. I am sick of having to text you in the morning instead of greeting the day with you in my arms. I miss you, love. If you have been spending time apart from each other, letting her know that you miss her is a must. Long distance relationships—even when they are temporarily long distance—always take more work. Adding an emoticon to your texts is a great way to humanize your messages. 28. Happiness, depression, success and complete failure are all possibilities for today. The only thing that I know for sure is that everything will be fine as long as I end the day with you. When the relationship reaches the next level, your messages can become more loving. 29. Knock, Knock! Who’s there? Me, waiting to bring a smile to your face. Here’s to hoping that your morning is as wonderful as you are. It may be slightly corny, but it gets the point across. 30. The past is gone, the future has not been reached you. The only thing that we can enjoy is the present. Be with me and lets take advantage of the time that we have. Poetic, but straightforward, this message is sure to win a girl’s heart. 31. Thinking of you brightens my entire day. 32. Good morning, have a wonderful day! Again, using the simplest messages is sometimes the most effective thing that you can do to brighten her day. 33. Were you a coffee bean or cereal in a past life? I think you must be because I cannot start my day without you. For a pickup line and clever text, use this message. 34. It could be a Monday or a Saturday, but it does not matter. As long as you and I are together, the day will be good. A cute message is one of the easiest ways for you to show her how much she means to you. 35. May this message bring a smile to your face and may you meet with only happiness during the day. For an Irish proverb-esque message, check this text out. 36. Despite my love for you, I cannot tell where our relationship will go in the future. What I do know is that you will always be the most important thing in my life. This message works because it lets her know that she is in all of your plans for the future. 37. Here is a warm wish for a bright day. Wishing that you were in my arms right now! After a few mornings of overly romantic or loving texts, a basic message like this is a great way to mix things up. 38. The cold breeze of the morning sends shivers through my body. The sensation is so similar to your gentle touch that it brings joy to my heart. This message lets her know that you are thinking of her and it also demonstrates just how much her love means to you. 39. Each evening, I fall asleep with dreams of you in my mind. In the morning, I wake up to the hope that you will be lying in bed next to me. Every part of my day revolves around the hope of being with you again. If your relationship is starting to become more loving, a more caring message is exactly what the doctor ordered! 40. Night is gone and the stars are too. Clouds are out in the sky so blue. Here’s a wish to my love so true. Good morning! And I love you. A cute rhyme is sweet and corny at the same time. It is a great way to pull at her heart strings while bringing a smile to her face. 41. Steps for a perfect morning: Wake up. Get out of bed. Pick up phone. See my message. I love you. Cute and to the point, this is an effective good morning text. Keep it simple and express exactly what she means to you. 43. Life is a book and each morning begins a new page. The first words on this page should be: Good morning, beautiful! Poetic and lovely, this message is sure to touch her heart. 44. Waking up in the morning is my favorite thing because it reminds me that I have another day to spend with you. Never take your girlfriend for granted. 45. Did you smile earlier? I was psychically giving you extra hugs! The weird thing would be if this actually worked. 46. You are the pulse in my veins, beat of my heart and love of my life. Every part of me revolves around you. If she means a lot to you, let her know it. 47. In you, all of my sweetest dreams have come to life. The best way to woo a girl is through poetry. Make your texts poetic and loving for the best success in your love life. Poetic texts everyday can blend in if they happen on a daily basis. Mix it up with some more basic messages. On mornings that she wakes up earlier than you, a message like this lets her know that she was missed. Sometimes, the simplest messages are the best. Poetry, flowers, jewelry and chocolate are all traditional ways of wooing a girl. The reason that these techniques have been used again and again is because they work. If you want your girlfriend, crush or partner to love you even more, let her know how you feel through a good morning text, poetic message or heartfelt note.